The first time I—and likely many people living outside New York—heard about Smorgasburg was back in 2013, two years after the inaugural, when the Internet lost its mind over the festival-rooted ramen burger. The second time was reading Pete Wells’ New York Times review of Mighty Quinn’s Barbeque, which took the first steps in its smoke-filled rise to the top from a Brooklyn stall. The third time—I started to get the picture at that point—was in a Wall Street Journal article about a charming fried meats restaurant called Schnitz, which, you guessed it, also got its start at Smorgasburg. No one boasts a more impressive food pedigree than Smorgasburg. They churn out on-trend restaurants like Alabama churns out defensive linemen—often and unsurprisingly. And part of that is due to the intensive vendor selection process. What also makes the L.A. analog so intriguing is the space they’ll be taking over. The five-acre site—more than five times bigger than Brooklyn’s original Smorgasburg—is owned by Atlas Capital as part of their new ROW DTLA multi-use development, and the Alameda Produce Market will continue to operate there as a wholesale facility during the week. Demby expects more than 100 vendors to be there on day one, encompassing food, design, and antiques. 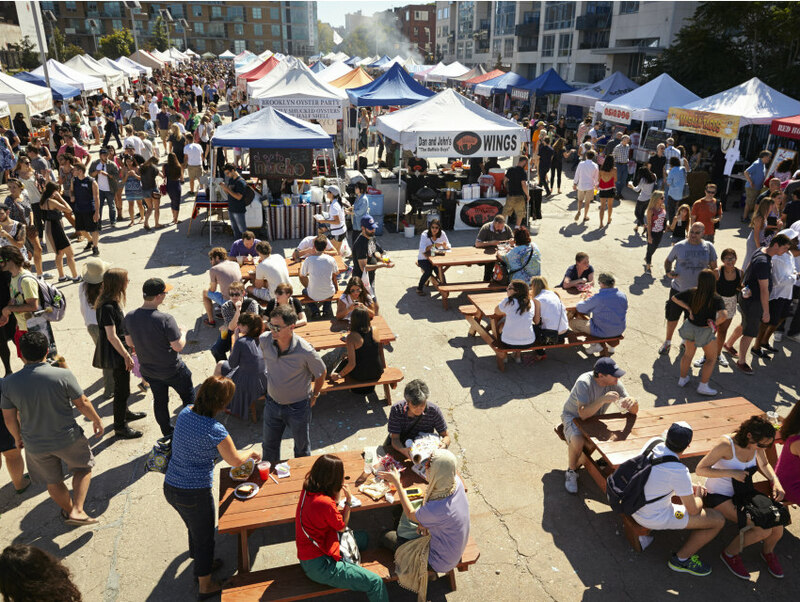 The L.A. market might pose some challenges, though, and there may be some lack-of-public transportation growing pains to break through, but the upside for Smorgasburg coming to the Left Coast is massive. And if you needed any more of a push to go to the opening weekend—Ramen Burger has pledged a stall.